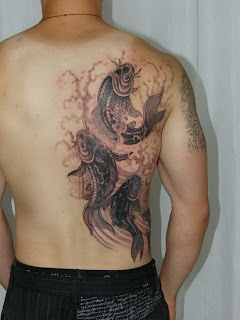 This is Koi tattoo design. 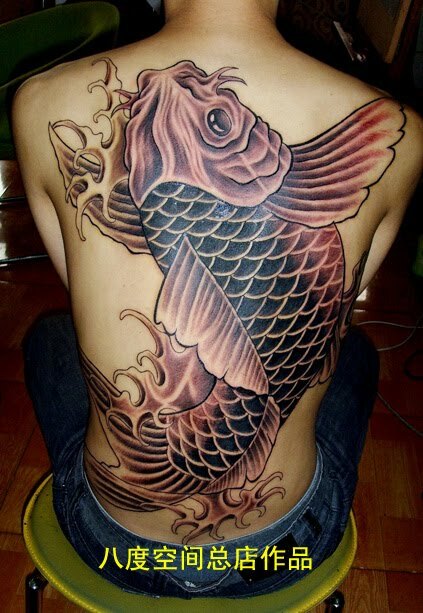 In China, Koi in the yellow river have golden skin and after they swim through a water fall, ancient people believe they become Chinese dragons and fly to the heaven. This amazing bodyart used a newly developed piercing technology. Nice studio and artist. Read more about related tattoos. 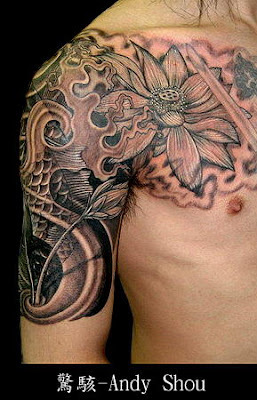 See the Lotus in this tattoo design? From ancient times the lotus has been a divine symbol in Hindu tradition. It is often used as an example of divine beauty. The KOI is the fortune symbol in Chinese culture. Together with lotus, you get fortune and beauty, haha! 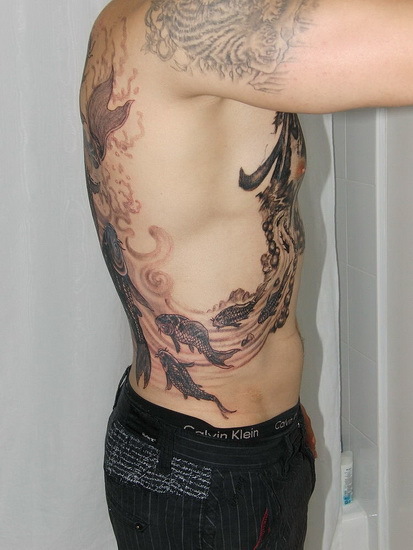 Read more about Lotus tattoos and related tattoo designs. 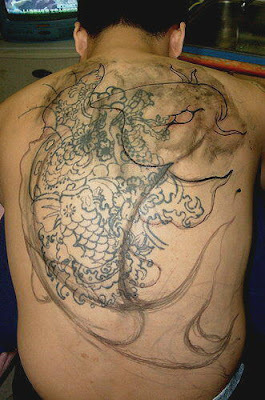 Perfect combination of fine art sense and super technique makes this fantastic tattoo. Read more about visual art. 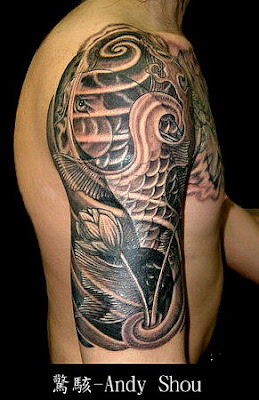 A tattoo about netted KOI. Another koi fish tattoo design! 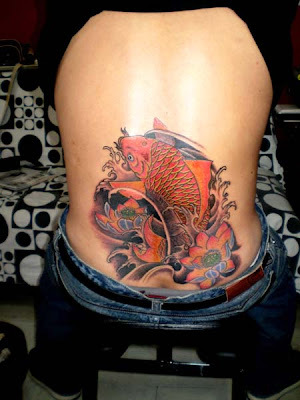 A popular tattoo design in China - Koi fish full back. 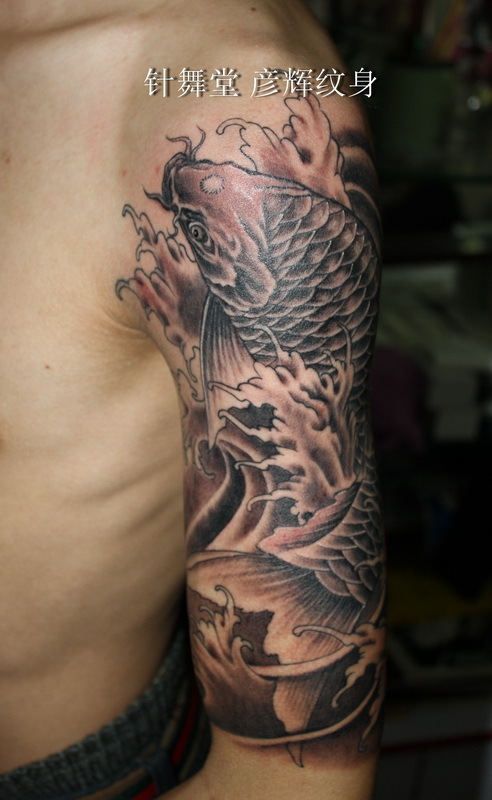 This is a Koi fish tattoo. 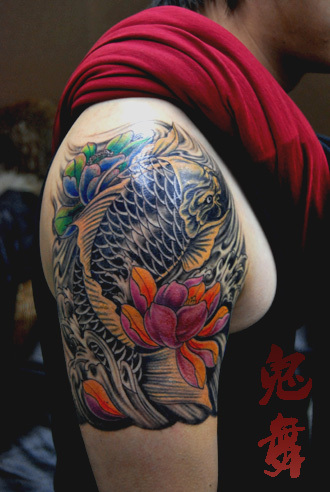 In Japanese, 'koi' is a homophone for another word that means 'affection' or 'love'; koi are therefore symbols of love and friendship in Japan. 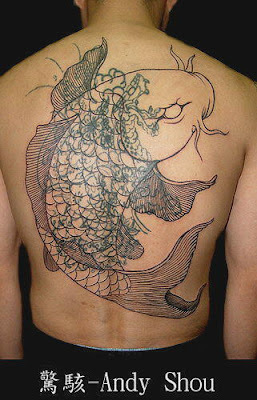 An example of this is given in a short story by Mukoda Kuniko, "Koi-san". 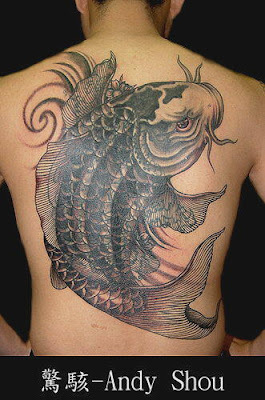 Koi tattoos have also become a popular trend in North America. 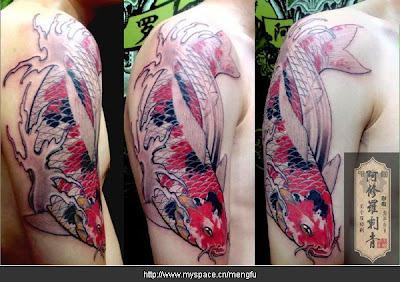 A printable tattoo featuring a koi fish jumping over the water in the hope of becoming a dragon. See the meaning of the KOI fish tattoo. A colorful KOI fish tattoo design. 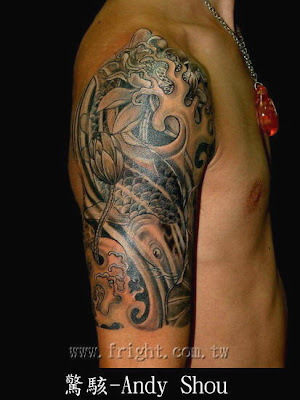 It is interesting that KOI fish tattoo is always accompanied by a lotus flower, making it very zenic. 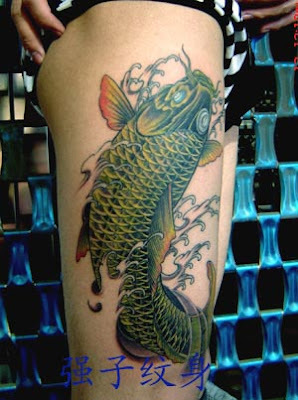 There is another KOI fish tattoo on the leg.